The enthralling 2019 Asian Cup in the United Arab Emirates will reach its climax on Friday. The final match will feature debut finalists, Qatar who are set to take on four-time winners and Asian football powerhouse, Japan in Abu Dhabi. This is a match preview of the 2019 Asian Cup final. Record four-time winners, Japan secured a top spot easily at Group F. The Asian giants had three consecutive match victories over Turkmenistan, Oman and Uzbekistan. At the knockout phases, they breezed past Saudi Arabia in the round of 16 before getting another one-goal win over Vietnam. 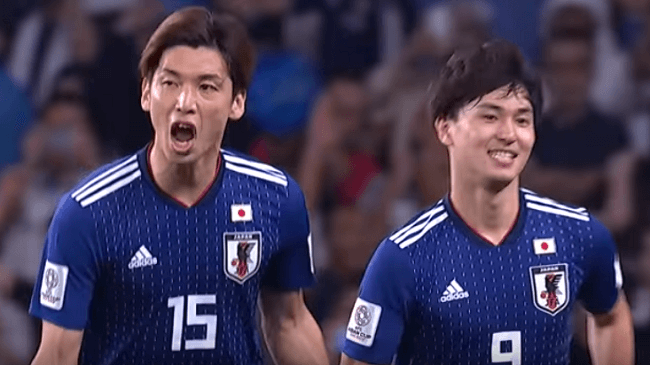 Japan’s semi-final match was a not too difficult for them after two superb goals from Werder Bremen forward Yuya Osako helped them to a clean 3-0 defeat of tournament favourites Iran. That match ended the eight-year coaching period of Carlos Queiroz at Iran. The 2022 World Cup hosts Qatar, scaled through a straightforward group which had Saudi Arabia, Lebanon and North Korea. They scored ten goals, which included a 6-0 drubbing of North Korea – and conceding no goals in the group games. In the knockout stages, they saw off Iraq after a terrific free-kick from Bassam Al-Rawi beat the keeper. They secured their place in the semifinals after Abdelaziz Hatim struck a superb goal which shocked South Korea. Qatar faced the hosts United Arab Emirates, in the semifinals and spectacularly won by 4-0 success to book their final spot. Japan is favourite to claim the trophy. The head to head records between them show that the two sides have met ten times in the past. Japan has won on three occasions, and Qatar has two on two occasions, with five draws between them. Who do you think will win the 2019 Asian Cup?